Let them carry your promotion and promote your brand while on the go! This durable bag is made of 600D polyester for long-lasting use. The roomy main compartment can hold catalogs, pamphlets, tradeshow goodies and much more. Zippered closure to the main compartment provides security to their belongings. Dual 24" cotton handles make it easy to carry by hand or over the shoulder. 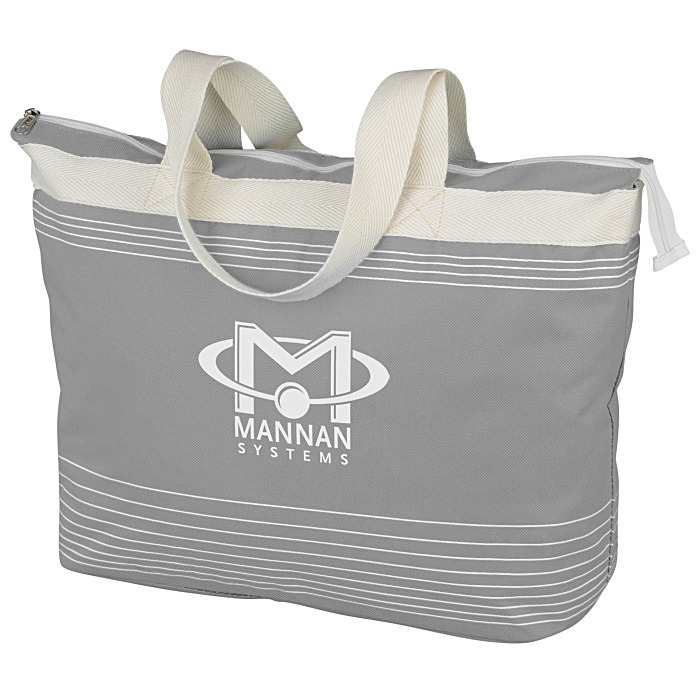 No matter what they’re doing, this personalized tote can come in handy. This attractive bag is available in several attractive colors with eye-catching white horizontal accent stripes along the top and bottom. Size: 13" x 17-1/2" x 7".